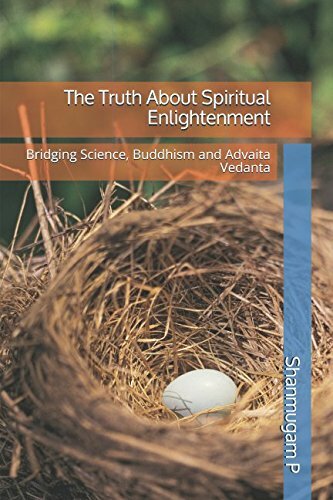 I successfully published my first book 'The Truth About Spiritual Enlightenment: Bridging Science, Buddhism and Advaita Vedanta' in Amazon. It is available in both kindle and paperback versions. I am able to provide the kindle book for free for five days using KDP select. The kindle book is available for free from 24th Nov, 2017 to 28th Nov, 2017. I invite the members of this forum to take advantage of this free promotion. The promotion is live now. "Spiritual enlightenment is becoming a buzzword. Enlightenment is a popular niche for people who write or read about self-help, meditation, healing, psychology and more. But do you really understand what enlightenment is? Is it some kind of altered state of consciousness, a solution to get high without drugs, a way to live life in 24/7 bliss, a myth or a complete scam? Is there any scientific basis to enlightenment or spiritual awakenings? This book has the answer for these questions. This book attempts to bridge spiritual teachings of Vedanta and Buddhism with science. It gives you a practical and reasonable path to end your suffering and live a peaceful, satisfied and happy life. Above all, it will help you to find your own way and follow your own light. The book will also introduce you to some important concepts in psychology, which are related to spiritual awakening. The concepts and solution presented in this book are based on the author’s own experience. It also has a chapter that narrates author’s own spiritual journey which led to a complete spiritual transformation. The book also has a separate chapter which talks about scientific research done on spiritual enlightenment."